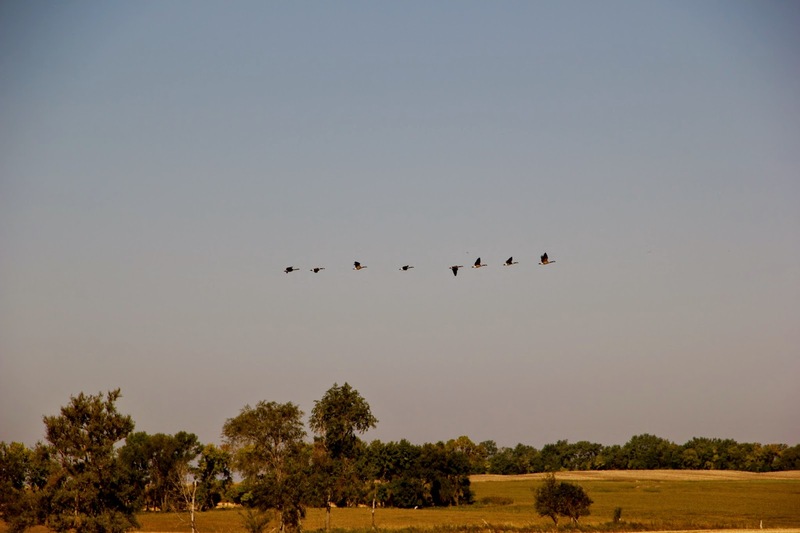 We were on our way out to check the fields of black beans when we heard geese calling as they flew up. It seems that they had finished their breakfast on a nearby field and were heading back to water. The early hunting season is over now and the honkers seem to know that they are free once more to fly about. From the road the black beans look ripe. We had been told to look for brown and yellow as we drove by. It is certainly there. But the bean field has had a frost or two. Light frost, which topped the plants without reaching the ground. 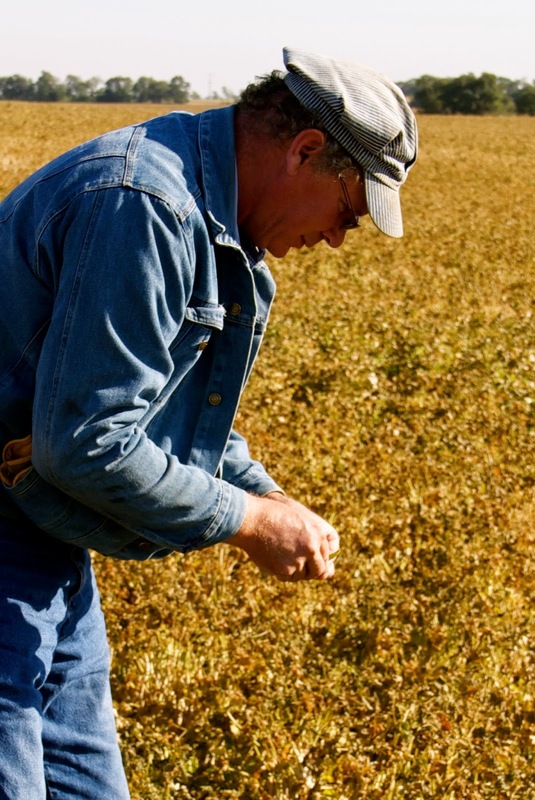 Farmer Fred went into the field to pull some samples. 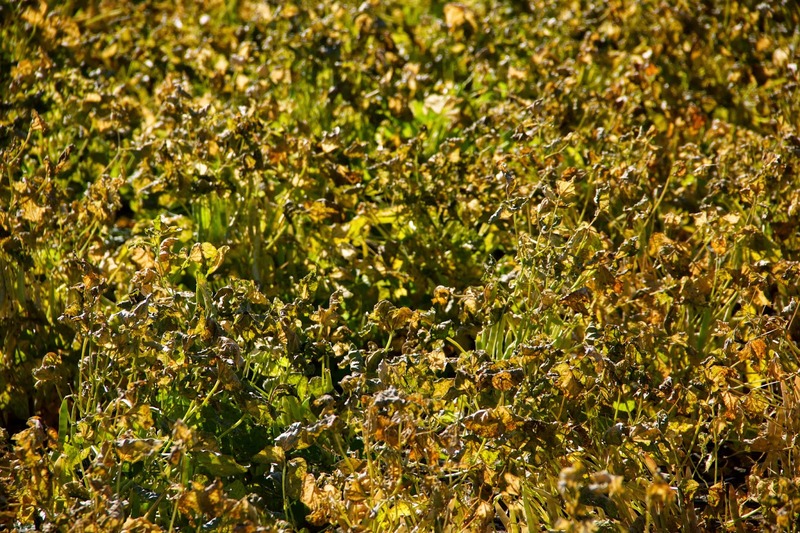 There are green pods under the brown leaves. These pods contain immature beans. In black beans, the color of the beans matters very much, of course. They cannot be purple, they must be black. 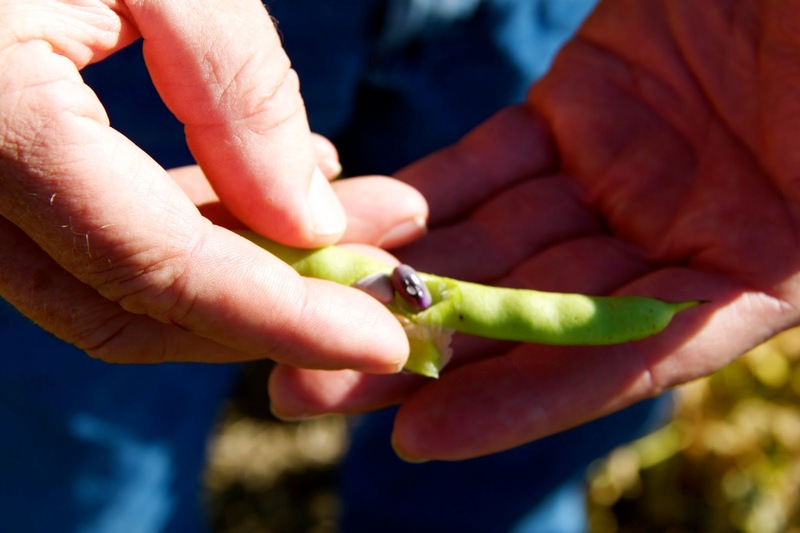 Although many of the pods, the white or ripened pods, contain black beans, we now know that there are green pods on the plants. 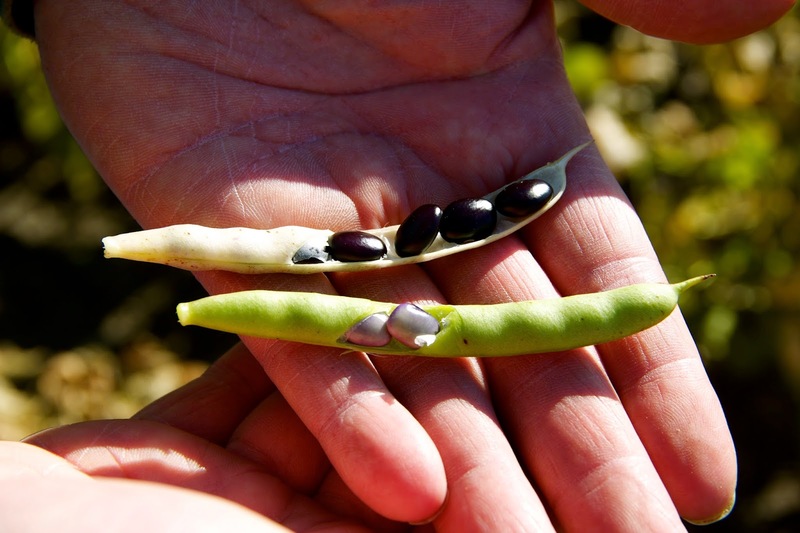 These pods are immature and their beans are not black. It means that harvest will halt until the black beans are mature. The black beans were not all planted on the same day, and so the maturation varies by field, as well. 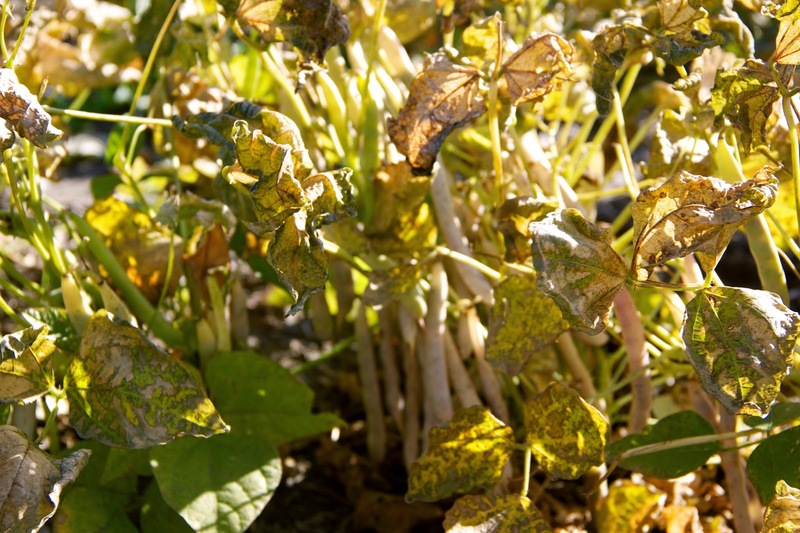 Although they are damaged by frost, the plant stems are not dead. We expect that the immature beans will continue to ripen on the stem. There seems to be plenty of green leaves under the canopy to continue maturation. 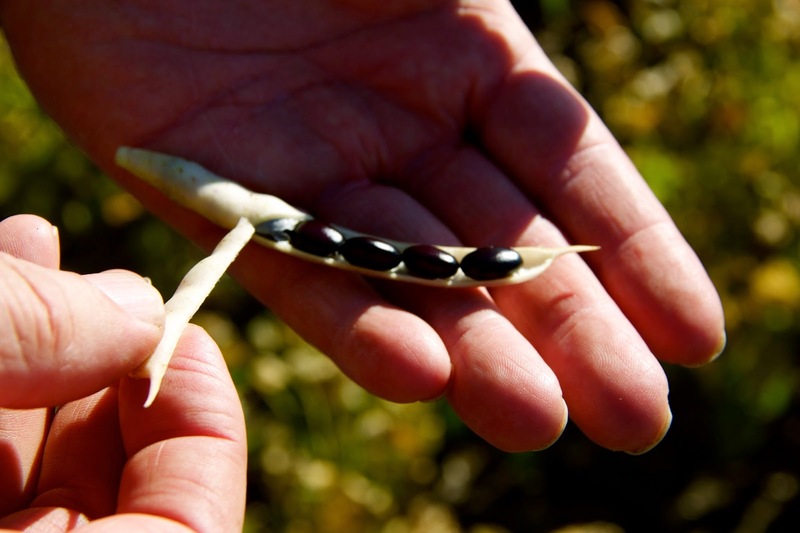 If the weather gives us a week or two before freezing, the black beans will be ready to harvest. 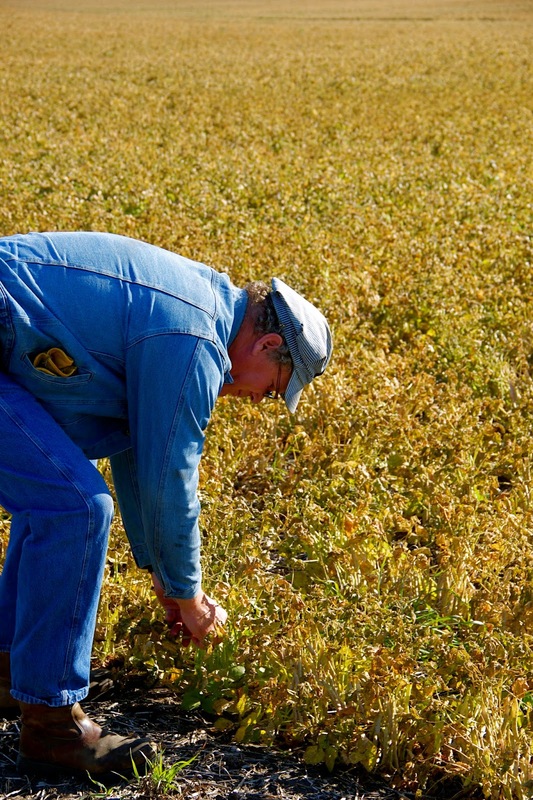 There are only so many days before the snow flies and snow can devastate a bean crop. 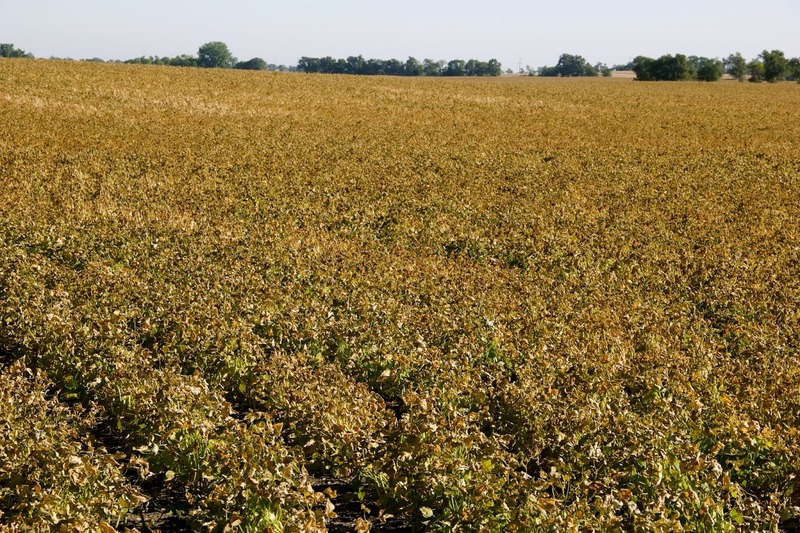 However, if the beans are harvested too soon, the immature beans will render the crop worthless. We are impatient this time of year. 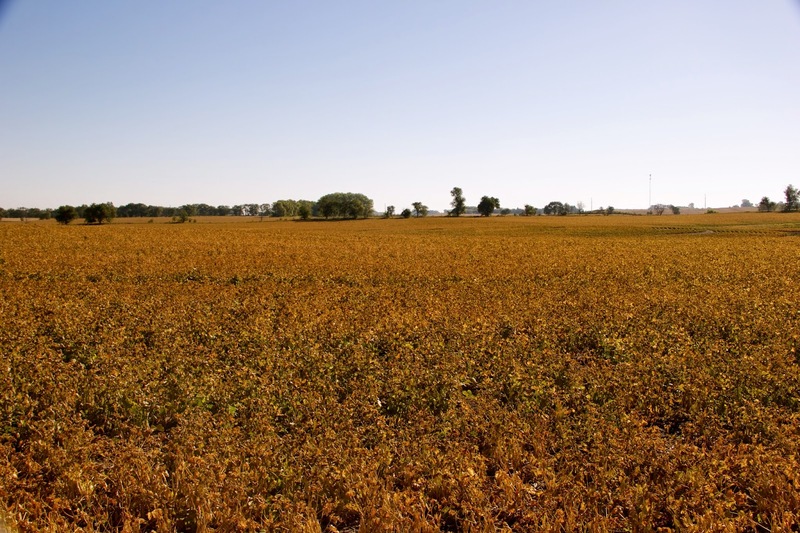 We do not want to wait to harvest, but we will in GriggsDakota.